Opportunity Rover Working - Solar System Planets And Moons Section. 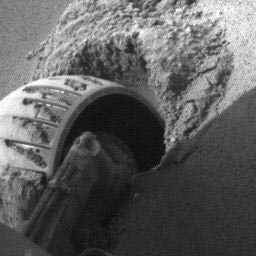 Opportunity's self-portrait, showing its wheel in the sand. Image credit: NASA/JPL.